Technological & Electrical Systems Co. which is a company of NOZOM GROUP owned by the KABBANI family is one of the leading manufacturing facilities in the field of Electro-mechanical industries in Egypt, Middle East, and Africa. Plate works and sheet metal fabrication and machining of industrial mechanical equipment casings, housings, and internal parts. Structural steel and supports manufacturing and processing, as our facilities are equipped with automatic lines for welding of build-up profiles, disc cutting, and three axial drilling. 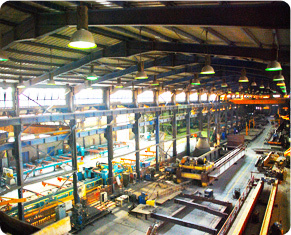 Machining of heavy parts like central columns, mill bearing supports, motor base frames, kiln base frames, —etc. Precision mechanics like molds, tools, dies, —etc. Electrical systems like cable supporting ladders, trays, etc, electric control panels, light fixtures, —etc. 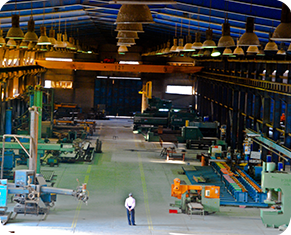 Erection of all major parts which are manufactured at our facilities in Egypt and abroad. Design of several industrial parts and equipment such as belts, fans, molds, screw conveyors, tanks and others. In addition, our facilities are equipped with corrosion protection (shot and sand blasting as well as electrostatic and wet coating). Full logistics services and facilities for shipping and expediting including seaworthy and special packing, and inland and Sea transportation. Locally and internationally, T.E.S is well known for its capability to execute high precision works, because, the company uses modern CNC machines as the state of the art technology to guarantee highest accuracy & unique quality. Our products now supply different parts of many sectors, for example airports, air conditioning, automotive painting lines, home appliances, oil & gas, materials handling, food processing, cement plants, fertilizers production, power generation, textiles, renewable energy, railways, sewage plants, and petrochemicals. From Egypt and up to Saudi Arabia, our arm is extended and supported by powerful cooperation with our sister group of companies that are owned by the same family Group. such combination allows us to use T.E.S acquired technical and commercial expertise in several industrial sectors as well as our established alliances with both American and European partners in order to provide turnkey projects solutions to developers, owners, main contractors in Saudi Arabia and the Gulf region in different construction and industrial applications.